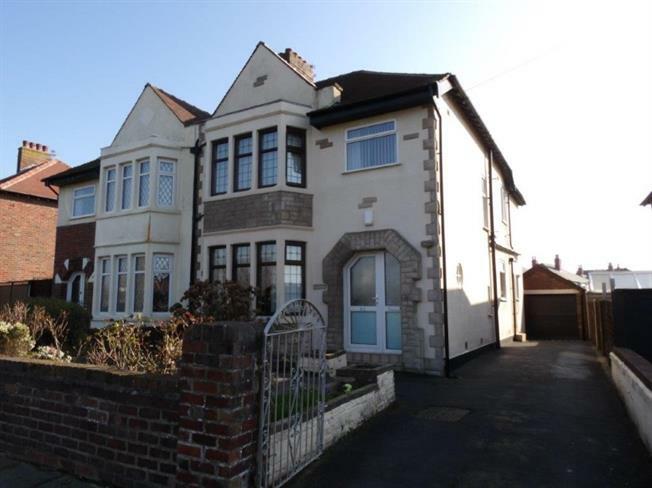 4 Bedroom Semi Detached House For Sale in Blackpool for Asking Price £180,000. Overlooking North Shore Golf Course this four bedroom semi detached property offers spacious accommodation throughout and would make an ideal family home. On internal inspection to the ground floor there is a welcoming entrance hallway, two good size reception rooms and a large breakfast kitchen. To the first floor there are four bedrooms a superb modern fitted four piece bathroom suite and a separate Wc room. 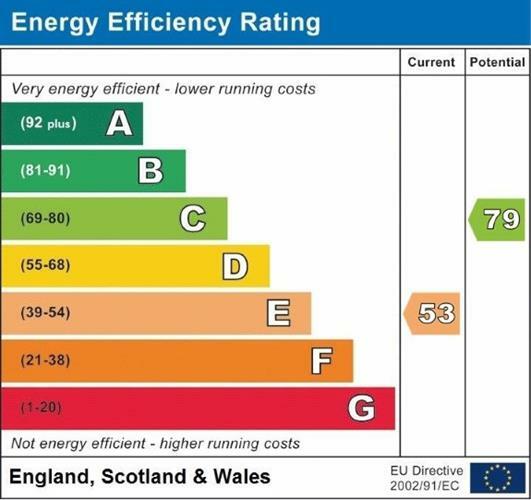 The property benefits from UPVC Double glazing and a Fischer electric heating system installed in November 2016. Externally there is a low maintenance flagged front garden, driveway with ample off road parking, good size detached single garage and a well presented south facing rear garden with patio area and well maintained lawn. Viewing highly recommended to fully appreciate the size on offer. UPVC double glazed door. Tiled flooring, original coving. Double glazed uPVC window facing the side. Electric heater, carpeted flooring, under stair storage, original coving. Double glazed uPVC bay window facing the front overlooking the golf course. Electric heater and electric fire, carpeted flooring, original coving. UPVC patio double glazed door, opening onto the garden. Double glazed uPVC window facing the rear. Electric heater and electric fire, carpeted flooring, original coving. UPVC double glazed door, opening onto the driveway. Double glazed uPVC window facing the rear and side. Electric heater, vinyl flooring, part tiled walls. Fitted and wall and base units, inset sink, integrated, electric oven, integrated, electric hob, integrated space for standard dishwasher, space for washing machine. Double glazed uPVC bay window facing the front overlooking the golf course. Carpeted flooring, built-in storage cupboard, original coving. Double glazed uPVC bay window facing the rear. Carpeted flooring, fitted wardrobes, original coving. Double glazed uPVC window facing the front overlooking the golf course. Carpeted flooring. Double glazed uPVC window facing the side. Carpeted flooring, built-in storage cupboard. Double glazed uPVC window facing the rear. Heated towel rail, vinyl flooring, tiled walls, spotlights. Low flush WC, jacuzzi, corner shower, vanity unit and bowl sink. Double glazed uPVC window facing the side. Vinyl flooring, tiled walls. Low flush WC. To the front of the property there is a flagged garden with raised shrub borders with a driveway to the side providing ample off road parking that leads to the detached good size single garage that benefits from both power and light. At the rear of the property there is a good size well presented south facing garden that boasts a flagged patio, well maintained lawn with established trees and shrub borders.